We're proud to serve patients of all ages. Whether you're a professional on the run, a parent with small children who needs some TLC, or a senior who needs some extra time, we're here to help. We want you to look your best and feel confident every time you smile. We provide thoughtful and reasonable solutions for all your crown and bridge needs. Being moms ourselves, we know that a trip to the dentist can be a scary proposition for a child; so we work hard to ensure that your child is confident, comfortable and engaged during every visit. Your smile says a lot about you. Let's talk about how we can help you to get that dazzling smile that you've always wanted. You can rest assured that when you choose Dr. Rossi and our team, we're committed to giving you and your family the best possible dental care. We proudly provide family-focused quality dental care for all our patients and we strive to ensure that you feel comfortable and at home every time you visit. We believe in building relationships with all our patients based on trust and mutual respect and we want you to feel confident that we listen to your needs and concerns and respond appropriately to all your requests. We provide family, pediatric, and cosmetic dentistry services throughout Brampton and the surrounding areas of Caledon, Georgetown, and Mississauga. Our cheerful and considerate all-female staff is focused on delivering friendly, relaxed, professional, patient-focused dental service in a comfortable environment. We want to be your long-term dental home. Our patients range in age from 1-111, and we pride ourselves on tailoring your care to suit your individual needs. 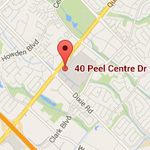 If you are looking for a dentist in Brampton, Caledon, and Georgetown, call us today - 905 791 2878! We try to accommodate emergency visits wherever possible, please call us for more information.